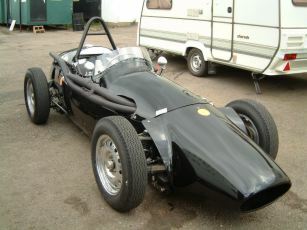 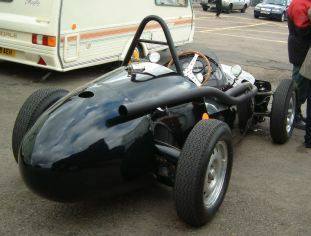 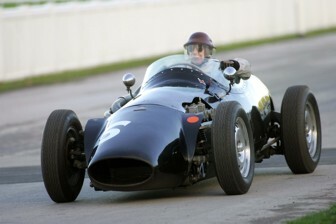 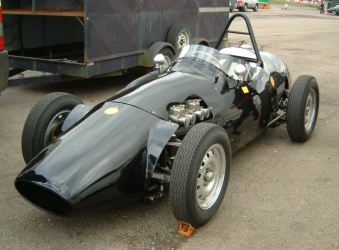 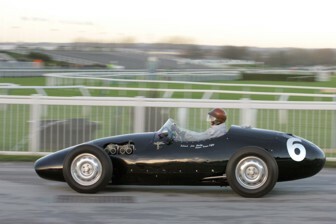 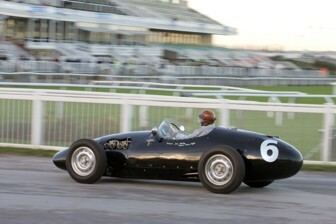 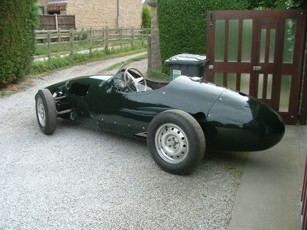 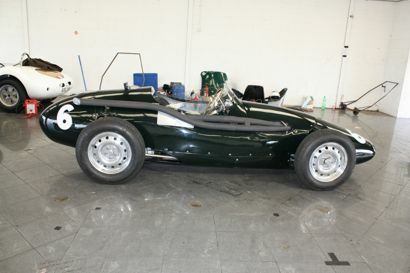 The Connaught was tested at the HGPCA test day at Silverstone in April and is due to be driven by tony Brooks (again) at the 2012 Goodwood Festival of Greed. 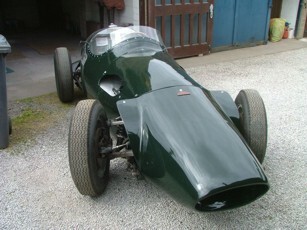 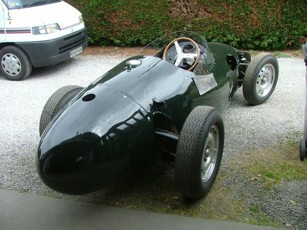 The Connaught has been repainted in a more traditional green, the engine & gearbox are being rebuilt for the next season's racing. 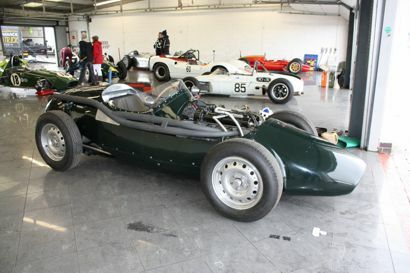 Sold as a bare chassis at the Connaught auction, to Dudley Gahagan who used it as his workshop bench for 30 years! 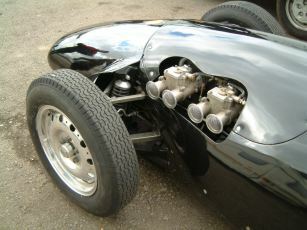 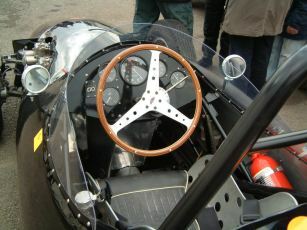 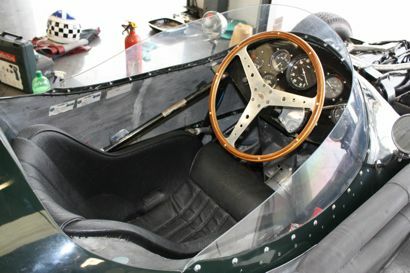 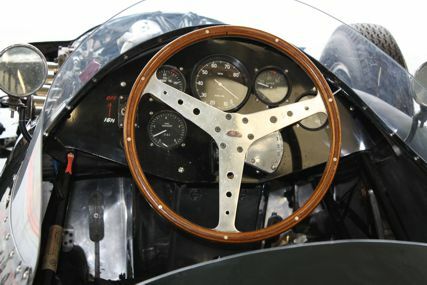 It is not known what racing history the chassis itself had, but nearly all the components are original, many having also been bought at the Connaught auction, even the steering wheel is an original that was removed from another B-type many years ago. 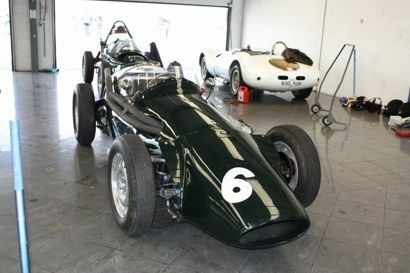 B9 has been driven by Tony Brooks at Aintree and the Goodwood Festival of Speed in 2004, by Rodrigo Gallego in Oporto and by Simon Diffey in several UK races. 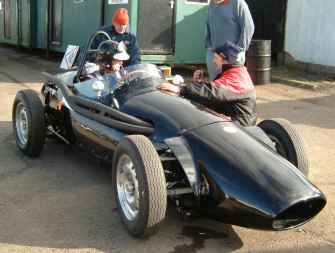 After 10 years in Spencer Longland's care the Connaught has (at last) been finished and was shaken down by Simon Diffey at Mallory Park on April 2nd 2003.